There is no shortage of new types of ransomware, many with unique features, and experts say it’s an exercise in innovation and finding revenue opportunity. Search Security reports, that ransomware is big business and it appears as if malware developers are trying out a number of new features in different types of ransomware to make attacks more effective and profitable. The 2017 Verizon DBIR confirmed the trend that many experts noted of ransomware as a booming malware business, and the real world provides plenty of supporting evidence. 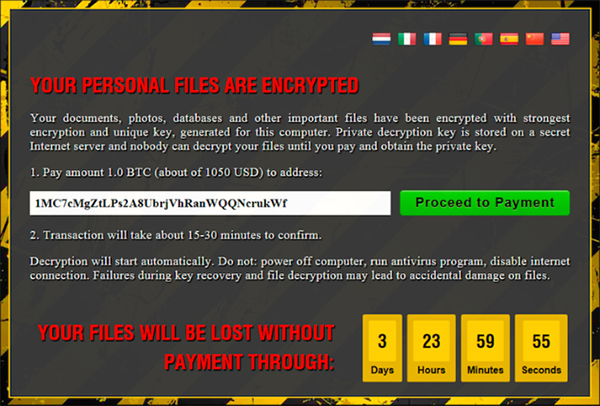 It has gone so far that threat actors have been able to use fake ransomware to scare victims into paying. Ken Spinner, vice president of global field engineering at Varonis, said dynamic pricing in new types of ransomware was inevitable. Ilia Kolochenko, CEO of High-Tech Bridge, a web application security testing company based in Geneva, said the ransomware-as-a-service model will continue to grow. There has also been a number of types of ransomware to try innovative new features, such as offering the decryption key in exchange for the victim spreading the infection to others and deleting the decryptor if researchers attempt to sandbox or study the malware. Researchers also found CryptFile2, an updated version of the CryptoMix ransomware that changes file extensions of encrypted files to avoid detection and make decryption more difficult. Travis Smith, principal security research engineer at Tripwire, said the level of innovation in new types of ransomware could be because ransomware is, by design, intended to be discovered quickly which means more samples are available to be inspected by defenders. Tim Prendergast, CEO at Evident.io, a cloud infrastructure security company based in Pleasanton, Calif., said what sets ransomware apart is that “there’s no attempt to acquire any intelligence or restricted data; it’s all about profits,” and the innovation in the space reflects that. While the ransomware space may change and ransomware developers may innovate, experts noted that the best ways to combat ransomware are still relatively unchanged. Spinner said the proactive approach is with a defense in depth.